A clear, concise explanation of human nature; the worlds of body, soul, and spirit; the laws of reincarnation; and the workings of karma. 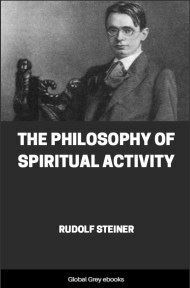 It is a key work for gaining a solid footing in spiritual reality as described by Rudolf Steiner. Organized into four parts. First, Steiner builds a comprehensive understanding of human nature: physical bodily nature; soul qualities; spirit being, or I-being; and the higher spiritual aspects. 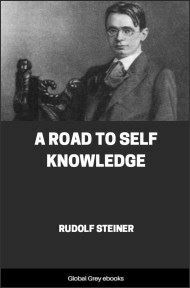 In the next section, Steiner offers an extraordinary overview of the laws of reincarnation and the principles of karma, as we pass from one life to the next. This prepares us for the third section, in which he shows the various ways in which we live—during life on earth and after death and in the three worlds of body, soul, and spirit. Finally, we are given a succinct description of the path of knowledge, along which each person can begin to understand the marvelous and harmonious complexity of the psycho-spiritual worlds in their fullness. When Johann Gottlieb Fichte, in the autumn of 1813, gave to the world his "Introduction to the Science of Knowledge" as the ripe fruit of a life wholly devoted to the service of truth, he said, at the very beginning: "This science presupposes an entirely new inner sense organ or instrument, by means of which there is revealed a new world which does not exist for the ordinary man." And he proceeded to give the following comparison to show how incomprehensible this doctrine of his must be when judged by means of conceptions founded on the ordinary senses: "Think of a world of people born blind, who therefore know only those objects and relations which exist through the sense of touch. Go among them and speak to them of colors and the other relations which exist only through light and for the sense of sight. Either you convey nothing to their minds, and this is the more fortunate if they tell you so, for you will in that way quickly notice the mistake and, if unable to open their eyes, will cease the useless speaking. 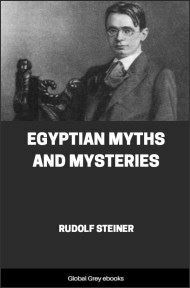 …" Now those who speak to people about such things as Fichte deals with in this instance find themselves only too often in a position like that of a man who can see among the born blind. But these are things that refer to man's true being and highest goal, and to believe it necessary "to cease the useless speaking" would amount to despairing of humanity. On the contrary, one should not for one moment doubt the possibility of opening the eyes of everyone to these things, provided that he is in earnest in the matter. 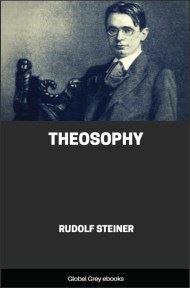 On this supposition have all those written and spoken who felt that within themselves the "inner sense-instrument" had grown by which they were able to know the true nature and being of man, which is hidden from the outer senses. This is why from the most ancient times such a "Hidden Wisdom" has been again and again spoken of. Those who have grasped something of it feel just as sure of their possession as people with normal eyes feel sure that they possess the conception of color. For them this "Hidden Wisdom" requires no "proof." They know also that it requires no proof for any other person who, like themselves, has unfolded the "higher sense." Such a one can speak as a traveler can about America to people who have not themselves seen that country, but who can form a conception of it because they would see all that he has seen if the opportunity presented itself to them. But not only to such has the investigator of the higher truth to speak. He must address his words to all mankind. For he has to make known things that concern all humanity. Indeed he knows that without a knowledge of these things no one can, in the true sense of the word, be a "human being." And he speaks to all mankind because he knows that there are different grades of understanding for what he has to say. He knows that even those who are still far from the moment in which they will themselves be capable of spiritual investigation can bring a certain measure of understanding to meet him. For the feeling for truth and the power of understanding it is inherent in every human being. And to this understanding, which can flash forth in every healthy soul, he in the first place addresses himself. He also knows that in this understanding there is a force which, little by little, must lead to the higher grades of knowledge. This feeling, which perhaps at first sees nothing at all of that which is told it, is itself the magician which opens the "eye of the spirit." In darkness this feeling stirs; the soul does not see, but through this feeling it is seized by the power of the truth; and then the truth will gradually draw nearer to the soul and open in it the "higher sense." For one person it may take a longer, for another a shorter time, but everyone who has patience and endurance reaches this goal. For although not every physical eye can be operated on, every spiritual eye can be opened, and when it will be opened is only a question of time. 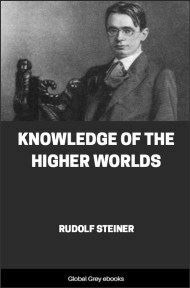 Erudition and scientific training are not essential to the unfolding of this "higher sense." It can be developed in the simpleminded person just as in the scientist of high standing. Indeed, what is often called at the present time "the only true science" can, for the attainment of this goal, be a hindrance rather than a help. For this science too often permits to be considered "real" only what is perceptible to the ordinary senses. And however great its merit is in regard to the knowledge of that reality, it creates at the same time a mass of prejudices which close the approach to higher realities. In objection to what is said here it is often brought forward that "insurmountable limits" have been once and forever set to human knowledge, and that, since one cannot pass beyond these limits, all branches of investigation and knowledge which do not take them into account must be rejected. And a person who wishes to make assertions about things which many regard as proved to lie beyond the limits that have been set to human capacities of knowledge, is looked upon as highly presumptuous. Those who make such objections entirely disregard the fact that a development of the human powers of knowledge has to precede the higher knowledge. What lies beyond the limits of knowledge before such a development is, after the awakening of faculties slumbering in each human being, entirely within the realm of knowledge. One point in this connection must, indeed, not be neglected. One could say, "Of what use is it to speak to people about things for which their powers of knowledge are not yet awakened, and which are therefore still closed to them?" But that is also the wrong way to look at it. One requires certain faculties to find out the things referred to; but if, after having been found out, they are made known, every person can understand who is willing to bring to bear upon them unprejudiced logic and a healthy instinct for truth. 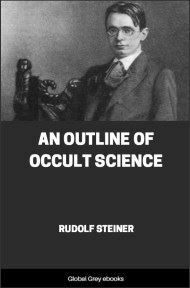 In this book the things made known are of no other kind than such as can produce the impression that through them the riddle of human life and the phenomena of the world find a satisfying explanation.